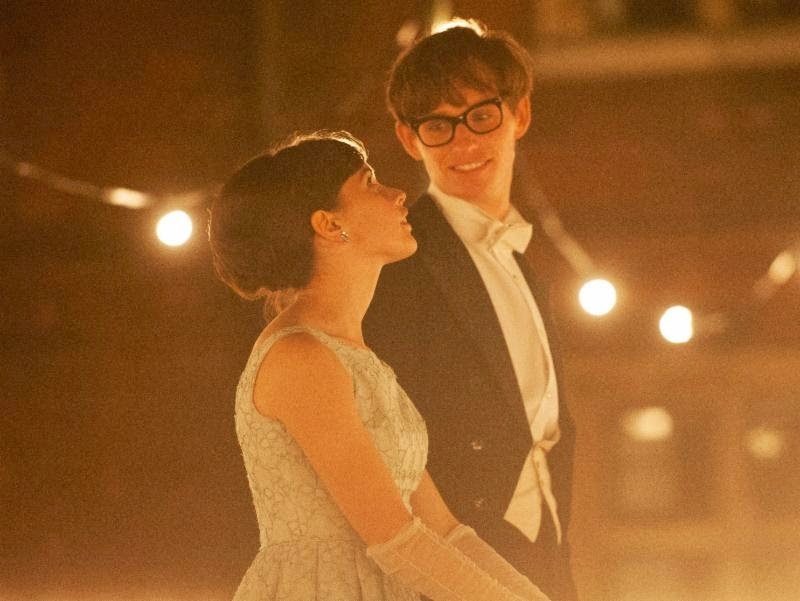 Reel Talk Online: Could This Be the Movie That Will Finally Make Me Care About Eddie Redmayne? Could This Be the Movie That Will Finally Make Me Care About Eddie Redmayne? Literally every day someone on my Twitter timeline proclaims their adoration for Eddie Redmayne, and I am always surprised by it. Is it his British accent? Or the fact that he played the empathetic Marius in the most recent version of Les Mis or Marilyn Monroe's puppy dog superfan documentarian in My Week with Marilyn? I mean, WHAT is the appeal? While he was decent in Les Mis, I tend to find him generally forgettable. So when I received a press release last week about his latest movie, a biopic on theoretical physicist Stephen Hawking, I didn't jump to read it. So maybe I'll become a Redmayne fan yet (just don't look for pictures of him pinned to my Pinterest boards). THE THEORY OF EVERYTHING will premiere at the Toronto International Film Festival next month, and will hit select cities starting November 7th. Wow, that looks amazing. I definitely plan to see it. Interesting! I'm going to have to remember this. I enjoy Eddie, but I'm not 100% in love with him like a lot of people are. Maybe this film will help.